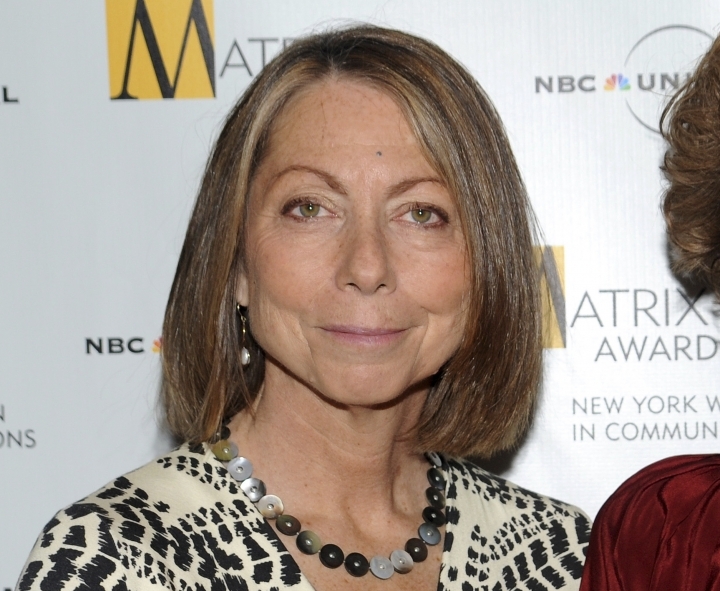 NEW YORK — Former New York Times editor Jill Abramson takes a dim view of many of the appearances that reporters at her former newspaper and The Washington Post make on cable networks to talk about President Donald Trump. "I really think that all the cable appearances on panels, particularly on CNN and MSNBC, are a huge mistake," she said. Abramson, editor of the Times from 2011 to 2014, spoke to reporters Friday before the publication of her book on the media, "Merchants of Truth." Print reporters are a staple at those two networks these days, often touting stories they have written for their newspapers. Abramson said she gets concerned when the reporters appear with opinionated commentators or are fed leading questions by hosts who have a clear point of view. The appearance to viewers can be that they agree with the opinions, she said. She cited two Times reporters, Maggie Haberman and Peter Baker, as skillful in sticking to their reporting. She stopped short of saying she would forbid reporters from making such appearances, which raise visibility for the newspaper and the reporters as individuals. "I don't believe in bans," she said. "I don't. I would monitor it more carefully." Abramson's book is modeled after David Halberstam's 1979 work, "The Powers That Be," that looked at the Times, Post, CBS News, Los Angeles Times and Time magazine. Abramson examines the Times, Post, Buzzfeed and Vice Media. She was already the subject of a presidential tweet a month before publication. After Fox News reported on her book's conclusion that the Times' news pages were "unmistakably anti-Trump," the president wrote that she was "100 percent correct," and condemned the newspaper's "horrible and totally dishonest reporting." Abramson shot back that it's clear to anyone who reads the book how much she reveres the Times and that its tough reporting on the administration has been vital. "Think where we would be now without the New York Times and Washington Post," she said. While understanding the need for Trump coverage, Abramson said she's concerned about the cumulative effect of so many stories reacting to things the president says. "He is a master at manipulating us... that's the only thing I think he has substantive knowledge about," she said. In an early version of her book proposal, Abramson had Fox News as one of the organizations she would study. But she said she concluded that Fox had been examined effectively in print elsewhere. She also wanted to look at organizations that had suffered and faced reinvention because of business problems, and Fox has been relatively consistent in its approach and success. She also considered Breitbart News, but her publisher urged her off on the grounds that it was becoming less influential. Abramson said she considers the man who fired her to be the biggest hero in her book. That's former publisher Arthur Ochs Sulzberger Jr., who let her go after she had a dispute with then-deputy Dean Baquet, who succeeded her. Sulzberger managed to steer the Times through a troubled financial period without the newspaper losing quality, she said. "The Times is the indispensable publication and he kept it that way," she said, "and he has never gotten the credit he deserved for it." Abramson said she began the book with a pessimistic view of where journalism was headed. But she said there has been a tremendous amount of good work done in the past few years. The Times and Post have many examples, but she also cited Vice's reporting on the white nationalist community and Buzzfeed's work on the technological sector. "There have been a lot of healthy things in journalism that will outlast this presidency," she said.